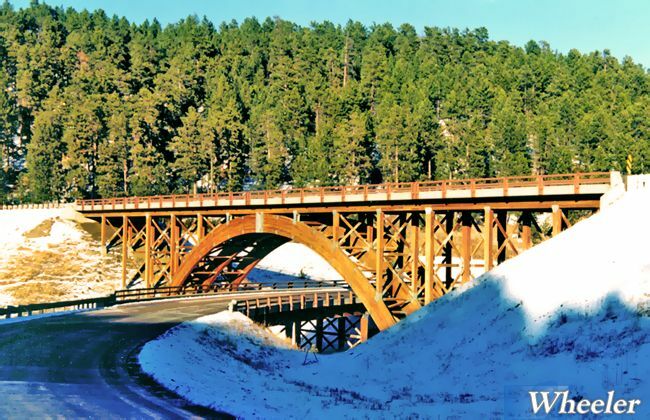 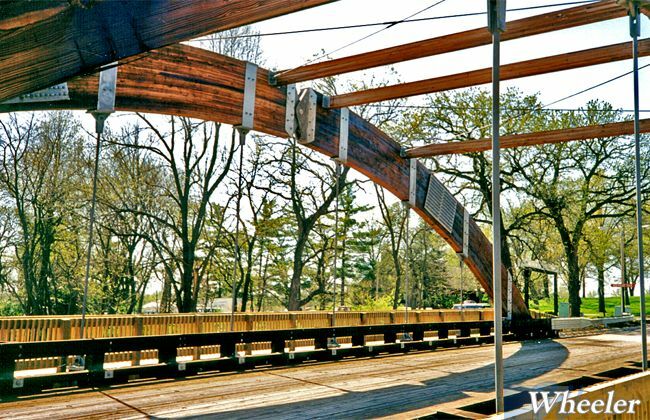 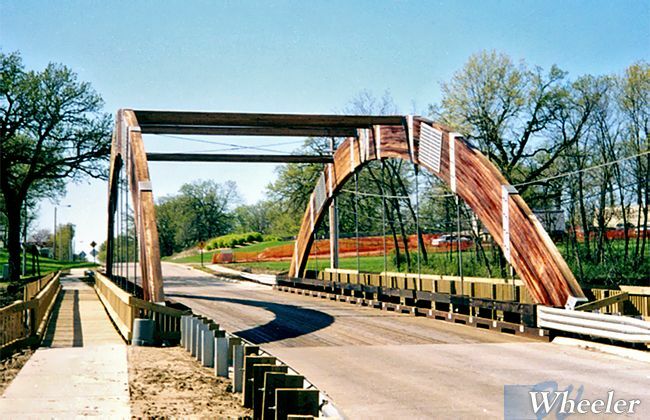 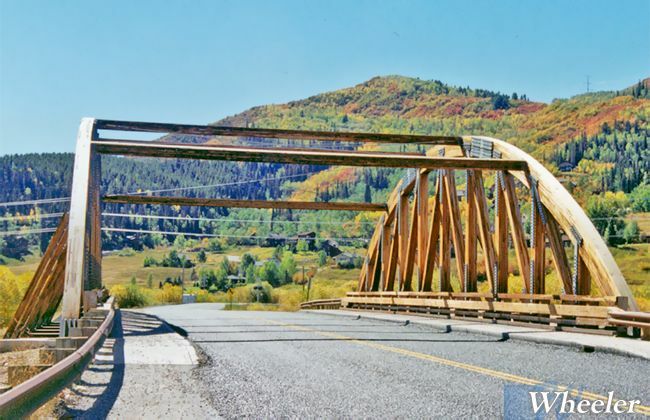 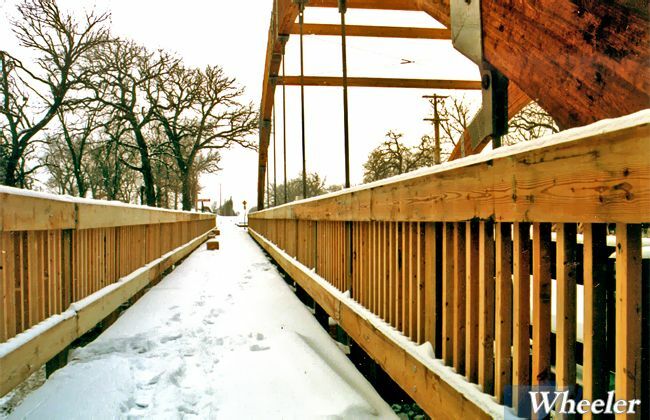 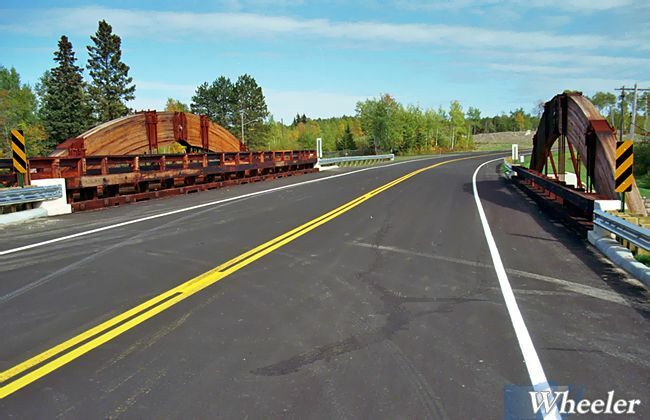 Long-span timber vehicle bridges are designed by Wheeler’s staff of structural engineers to provide a unique appearance while utilizing modern design to meet all applicable standards for vehicle bridges. 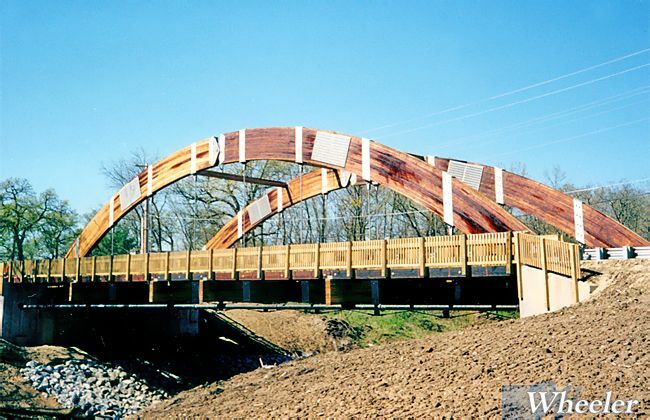 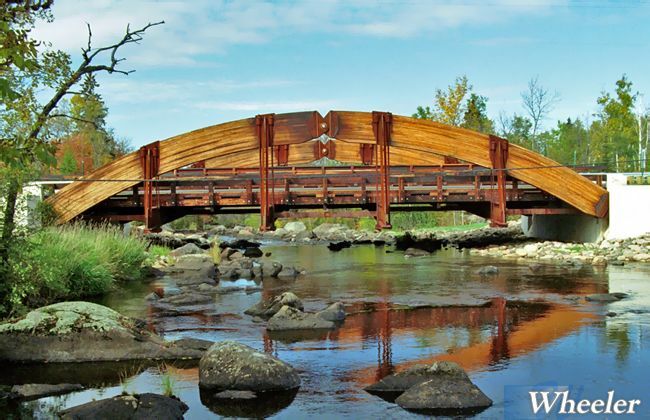 When the site requires a long clear span and a dramatic, unique design, a long-span timber bridge is the choice. 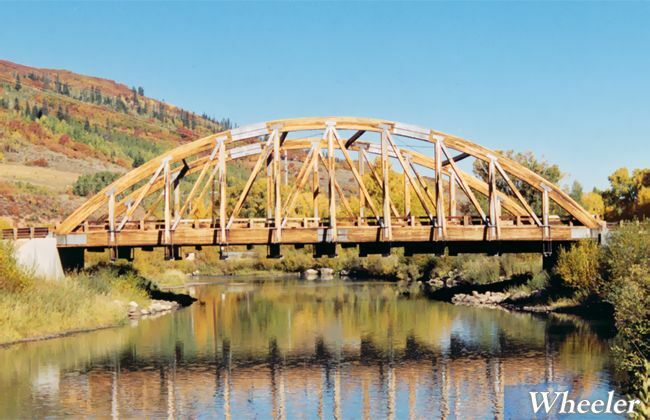 The three-pin arch and the bowstring truss offer a striking combination of wood and steel. 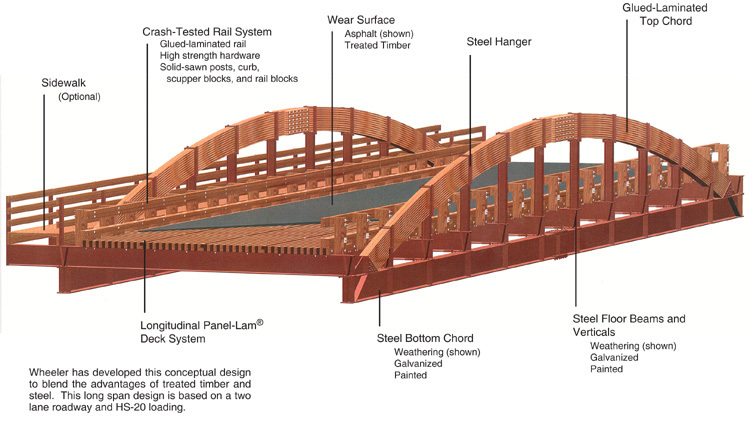 The panelized timber deck system shortens construction time. 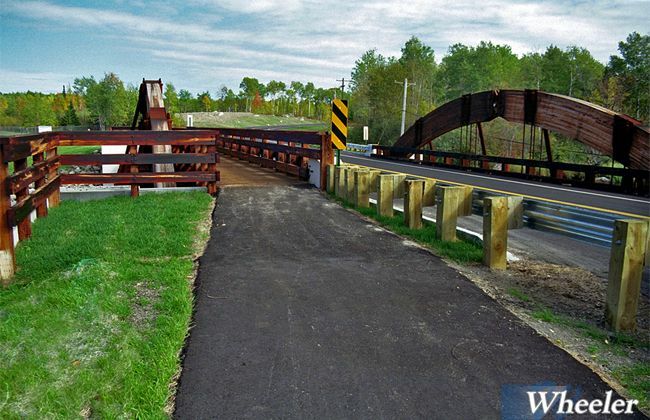 Crash-tested railings and asphalt wear surface provide the performance expected with modern vehicle bridges.